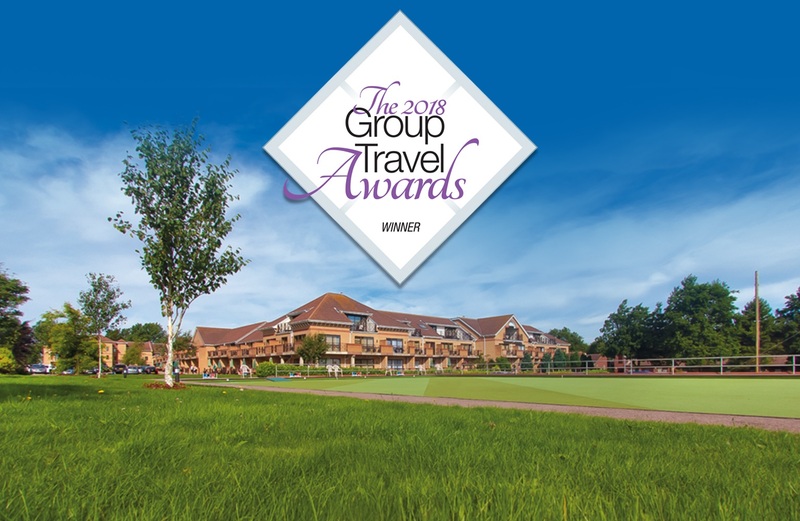 Welcoming around 500 group organisers every year, Potters Resort has been recognised by readers of leading travel magazine Group Travel Organiser at its annual awards, which celebrates group travel excellence in top destinations, attractions and suppliers. We are pleased to say that we scooped an award for ‘Best Holiday Park for Groups’ at the Group Travel Awards, thanks to all our incredible team who work all-year round with group organisers. Our specialist groups team of 14 professionals have a whopping 120 years’ experience in the groups market! What makes it even more special is that it was readers of the magazine who voted for Potters to win the accolade. We beat-off competition from finalists Away Resorts, Warner Leisure Hotels, Pontins and Gunton Hall Coastal Village, who were shortlisted in the same category. The 2018 Group Travel Awards were held on Friday 1st June 2018 at The Park Plaza Riverbank Hotel in London, and were hosted by TV presenter, Matt Johnson.